A unique formula that works in harmony with the skin’s natural function to effectively rejuvenate, hydrate, replenish and tighten the delicate eye contour area. The cold pressed extract of Rosehip oil contains high levels of natural vitamin C, other vital minerals and vitamins, as well as Tretinoin - a powerful regenerative bioactive component, to combat fine wrinkles and balance skin tone. The stem cells of GlobulariaCordifolia actively stimulate cell regeneration and detoxification to restore elasticity and shine, improving circulation and drainage of this sensitive area to eliminate dark circles and puffy eye contour. Additionally, the PalmitoylTripeptide – powerful plant peptides effectively promote synthesis deep within the 6 major constituents of the skin matrix and dermal-epidermal junction, boosting cell repair, replication and the ability to accelerate natural production of collagen of the skin. 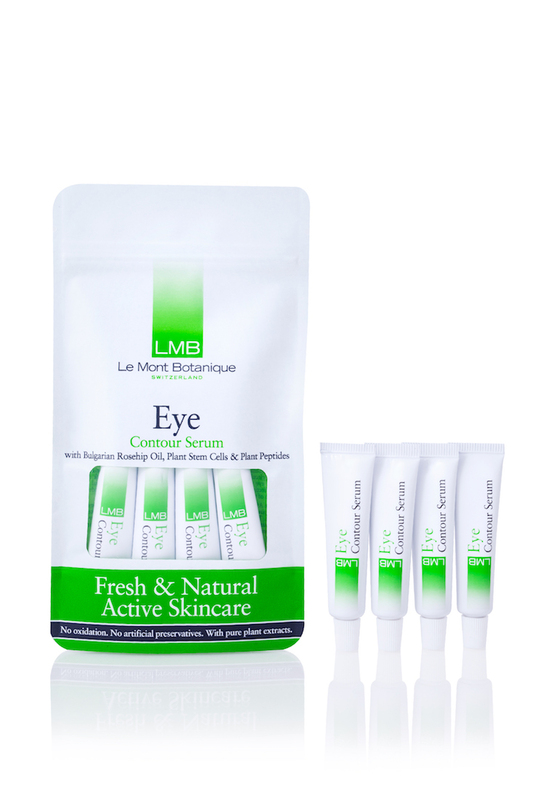 Use in conjunction with LMB's Active Cleanser and Super Hydrate for optimal results. After cleansing, apply sparingly to the delicate skin around the eyes by gently tapping with the tips of the fingers until completely absorbed. Shake well before each use. Twist cap off tube and squeeze small amount directly onto the eyes contour area. This product is fresh, each 5ml tube should be used within 7 days, or refrigerate to keep for up to 14 days.